At Mike’s Kitchen and Bath we design it, sell it and install it. From the very first step to the very last, Mike’s is your one-stop-shop for making your dream home a reality. This straightforward process eliminates a middle man and allows for a smoother experience. Mike’s takes full responsibility for your new home project. We expect you to hold us accountable for every step, which is why we always choose the best employees and do our very best work. Whatever you need, Mike’s Kitchen and Bath has it covered, every time! 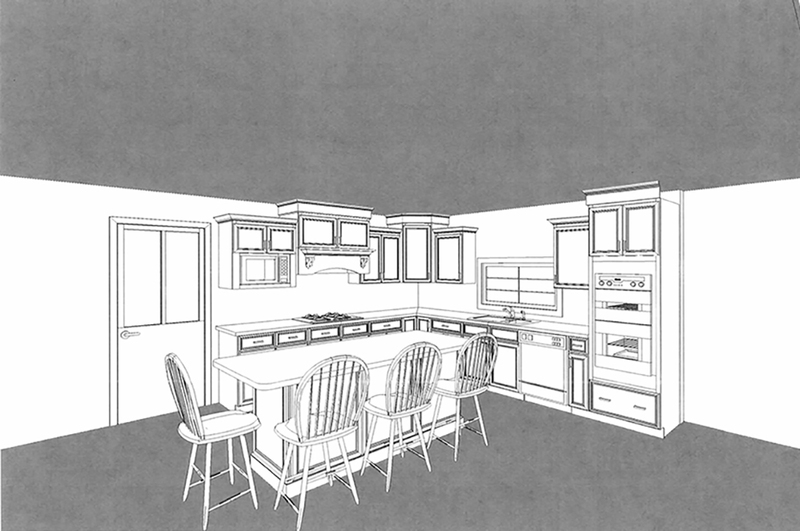 At Mike’s Kitchen and Bath, we have an experienced designers who will help bring your ideas to life. Design is the first step in your renovation or home build. We will work with you to make suggestions on the best products, layouts and designs for your specific lifestyle. When working with our designer, you can be as involved in the process as you would like: you can either leave it all to us, or help call every shot. The creative design process we provide is something you cannot find anywhere else in the area. Our sales floor is filled with the area’s best products. We continuously update our inventory and keep up with current styles and trends. Mike’s Kitchen and Bath will help you choose the highest quality products, while also keeping you within your budget. We offer thousands of different options for anything you could possibly need inside your home. You could spend hours browsing our show rooms and viewing our endless amount of options. When you are renovating or building your home, the final step is installing the pieces you have chosen and bringing our designs to life. We understand that having someone come into your home can be an invasive process. We take extra steps to ensure we are the least intrusive as possible. Our installers take special care to treat your home as if it were their own, and leave every space cleaner than they found it.